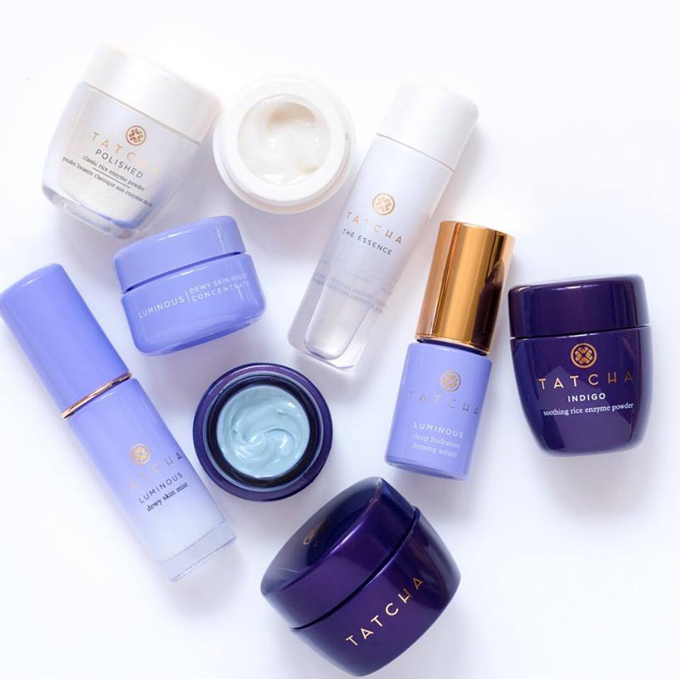 I’m a fan of Tatcha, a clean J-Beauty line founded on the basis of a geisha’s beauty ritual. The routine is effective and simple being rooted in a trio of powerful nutrients: green tea, rice, and algae. 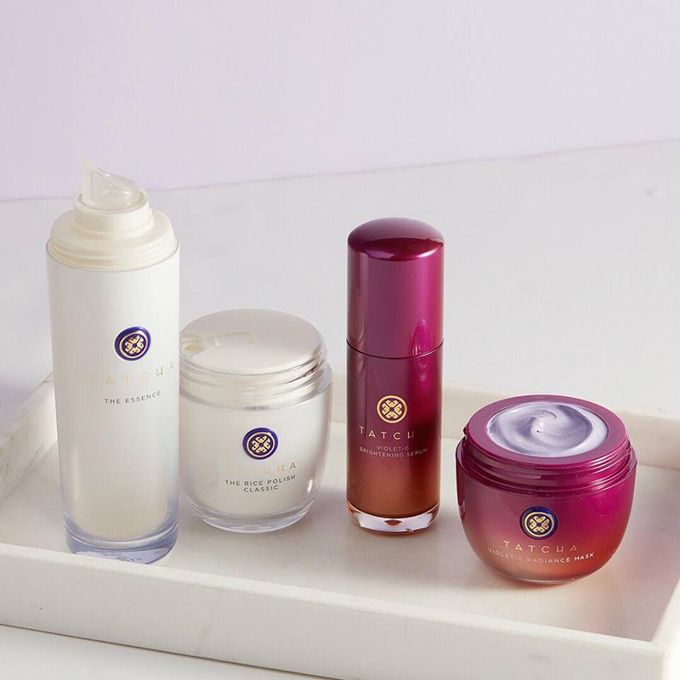 If you would like to get $20 off your first purchase of $100 or more at Tatcha.com, please use my referral link: https://refer.tatcha.com/s/Areta. 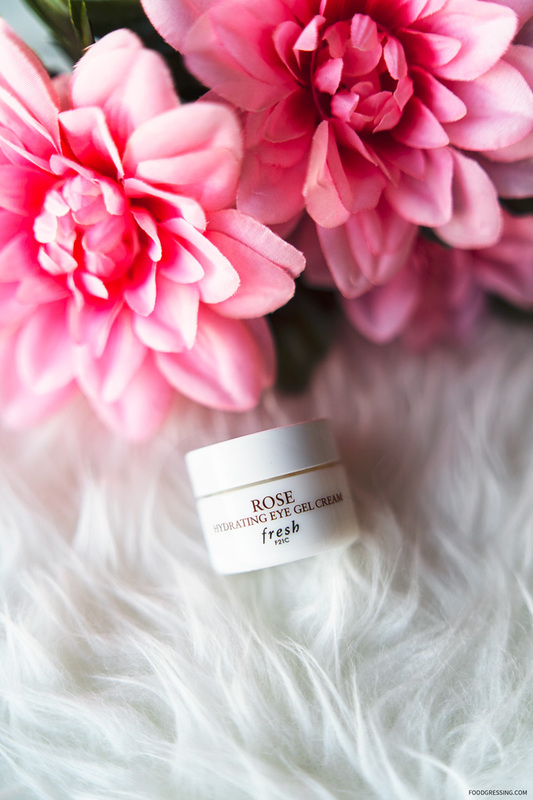 As I’m a fan of Fresh’s Rose collection which focuses on deep hydration, I decided to give the Fresh Rose Hydrating Eye Gel Cream a try. Here’s a look at my experience. I bought the eye gel from Sephora Canada for $52 (one size only). 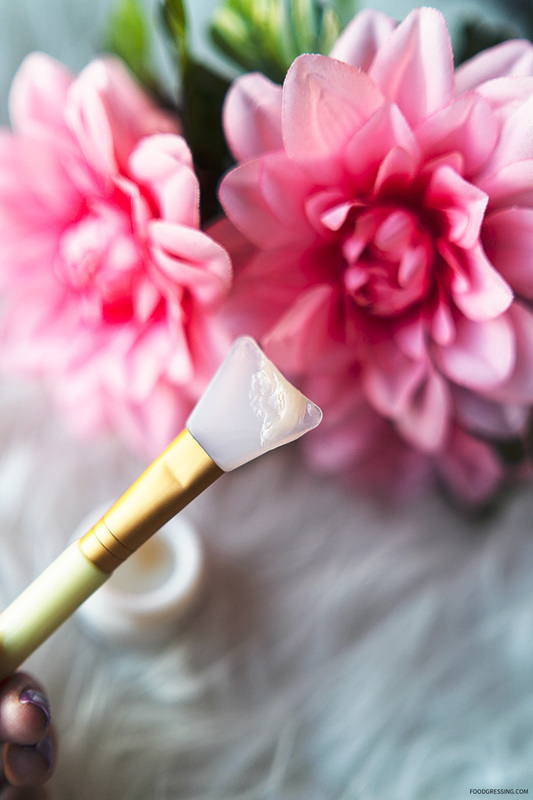 The gel formula of the Fresh Rose Hydrating Eye Gel Cream makes it very smooth and easy to apply. I also love the scent of roses in general so it makes me happy to smell the container before I use it. I experienced a nice refreshing sensation to the eye area after application. I even tried to chill it in the fridge but it didn’t seem to make a difference. This may be because the container itself is too thick to let the contents appropriately chill. I still felt a nice cooling effect without purposely chilling the gel. The gel definitely helped to hydrate the eye area. I’m not sure about it lasting 30 hours because I’ve never waited that long before a reapplication. Furthermore, as I don’t really have dark circles or fine lines around my eyes, I can’t comment too much on the gel helping in those aspects. 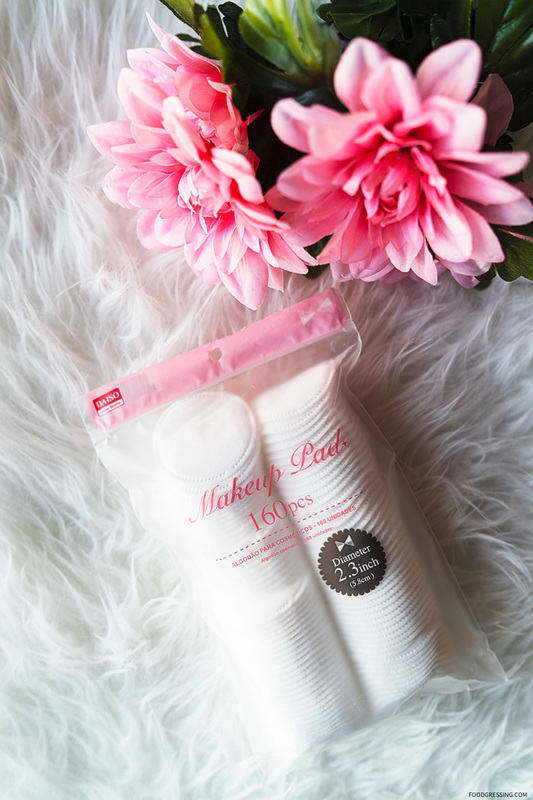 After trying a few brands of facial cotton pads, I have to say my favourite and cheapest ones are from Daiso. I recently purchased a pack of these Daiso-branded facial pads which are priced at $2.50 for 160. These come out to be just $0.02 cents a piece, which is priced very reasonably. In terms of quality, these Daiso facial pads feel super soft against the skin. I have paid more for other brands of cotton pad and found them to be super rough against the skin. I use the pads mostly for applying toner and I found them to be not too overly absorbent. In the case of toner, you don’t want the pad to be able to apply the product rather than absorb most of it. I also found the pads to not fall apart too easily. With other brands that I have tried, they seem to disintegrate too quickly and they end up leaving some cotton bits on my face. 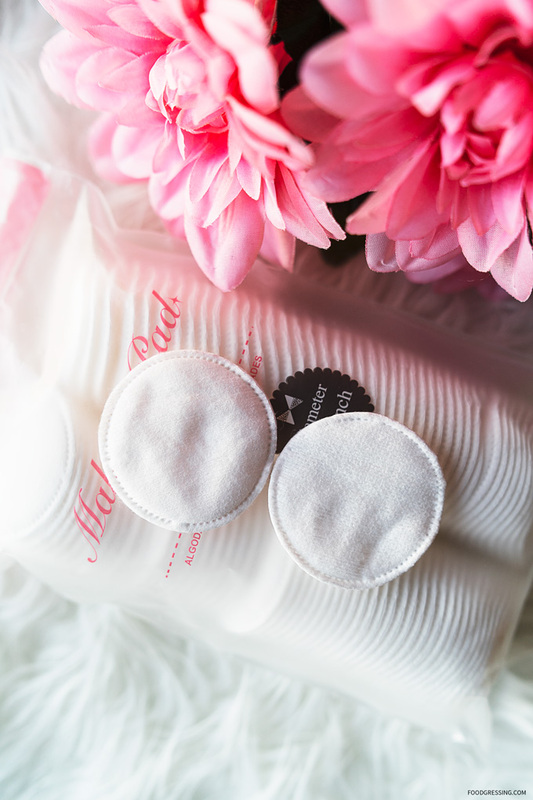 I highly recommend the Daiso facial pads for their quality and price. If you do give them a try, drop me a line and let me know what you think of them! Deep Conditioning Hair Mask Review: BRIOGEO Don’t Despair, Repair! 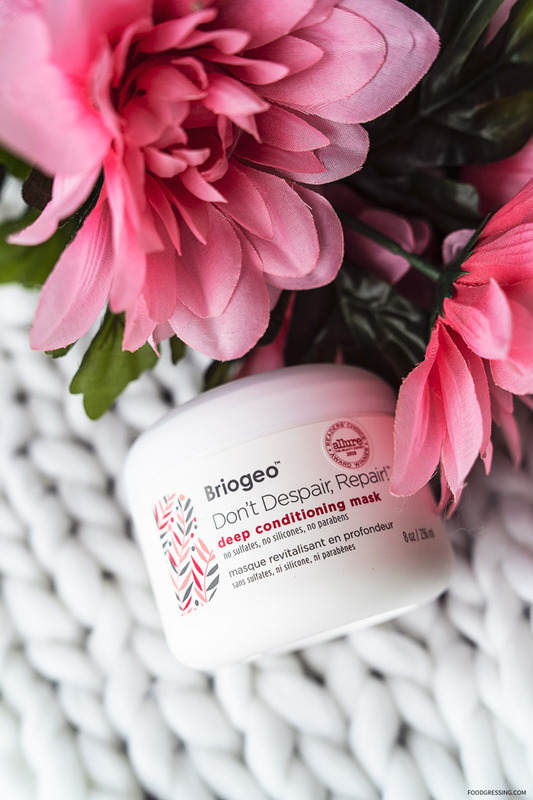 One of BRIOGEO’s best selling products is the Don’t Despair, Repair!™ Deep Conditioning Mask that is used to restore hydration and vibrancy to hair. In 2018, it received theAllure Reader’s Choice Award for Best Conditioner. I’ve been using the product for almost a year now and here’s a look at why I love it. The BRIOGEO Don’t Despair, Repair!™ Deep Conditioning Mask is meant as an intensive weekly treatment mask that is good for any hair type (straight, wavy, curly, coiled, and tightly coiled). At Sephora, it’s a Clean product which means that it’s made without “bad” ingredients like sulfates, parabens and so forth. The mask is formulated with Briogeo’s unique NOVA Complex which has B-vitamins, rosehip and argan oils, algae, and biotin. These ingredients are meant to rehydrate and nourish hair as well as control frizz. After shampooing, massage the mask into hair, ensuring an even application. Leave on for five to 10 minutes, then rinse. For deeper hydration, they recommend covering the hair in a plastic shower cap, sitting under a dryer, applying direct heat for 20 minutes, then rinse. At Sephora Canada, the mini size (1 oz/30 mL) is $12; the standard size (8 oz/237 mL) is $46; and the jumbo size (32 oz/946 mL) is $149.50. The Don’t Despair, Repair! mask has been my go-to deep conditioning mask. I’ve purchased the standard size about four times in the last year so each container lasts me about three months. I straighten my hair every day so the ends of my hair get pretty dry. I found that the mask really helps to rehydrate my ends particularly and to control frizz around my roots. I feel like my hair is nicely shiny and smoother after using the product. The product smells great and I like its smooth, lightweight texture. I usually shampoo my hair, apply the mask, put on a plastic cap and leave it to “marinate” for 10 – 15 minutes. However, in the future, I’m going to try to apply some heat either blow drying or wrapping a warm towel while having the plastic cap on. Since I’m a fan of Sephora’s Skin Fit facials, I was eager to redeem my rewards points for a free Skin Fit session plus samples when the opportunity came up. In exchange of 750 rewards points, the Get Skin Fit Reward included a Skin Fit Pass plus 5 samples. This box was shipped to me by mail. 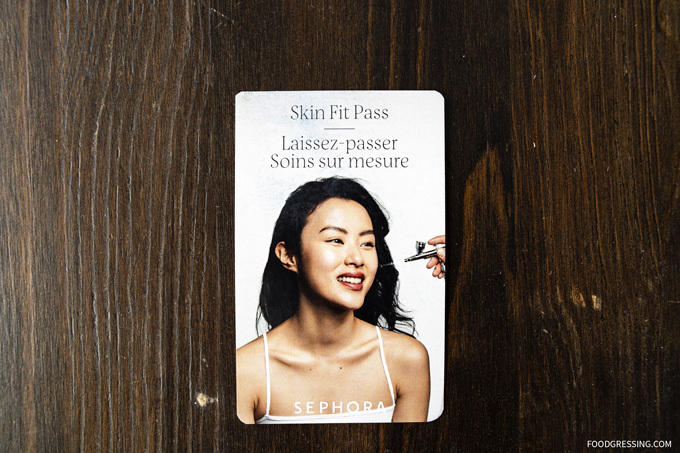 The Skin Fit Pass allows you to receive a complimentary Skin Fit session without having to buy any product. In a regular session, you need to buy a minimum of $75 worth of product. You can book the session online as usual and present the card to the beauty advisor at the beginning of the session. 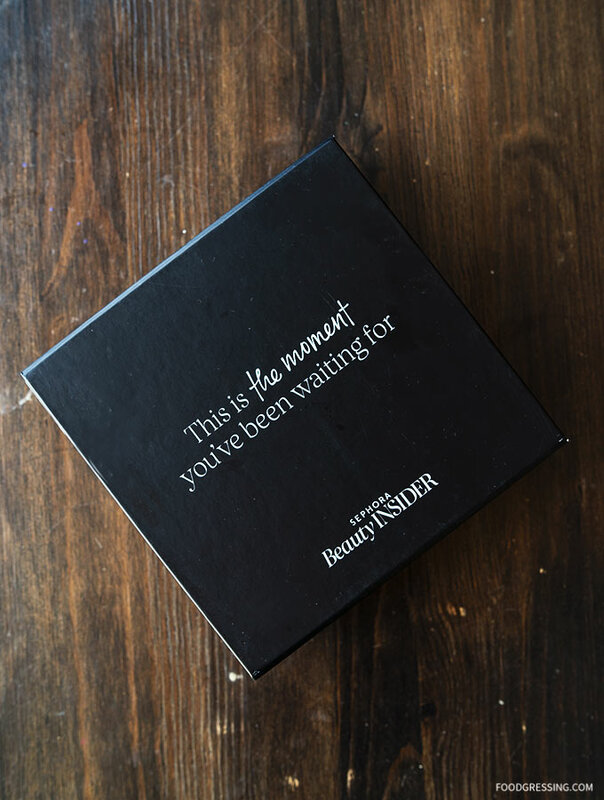 I thought that the Get Skin Fit rewards box included samples that I would be interested in trying. I liked how they packaged it all into a nice gift box. The method for redeeming the Skin Fit Pass seems pretty straightforward. Looking forward to trying these products out and getting my complimentary Skin Fit Facial! With the winter season upon us, I decided to focus a bit more on maintaining hydrated skin in response to the cold and dry weather. 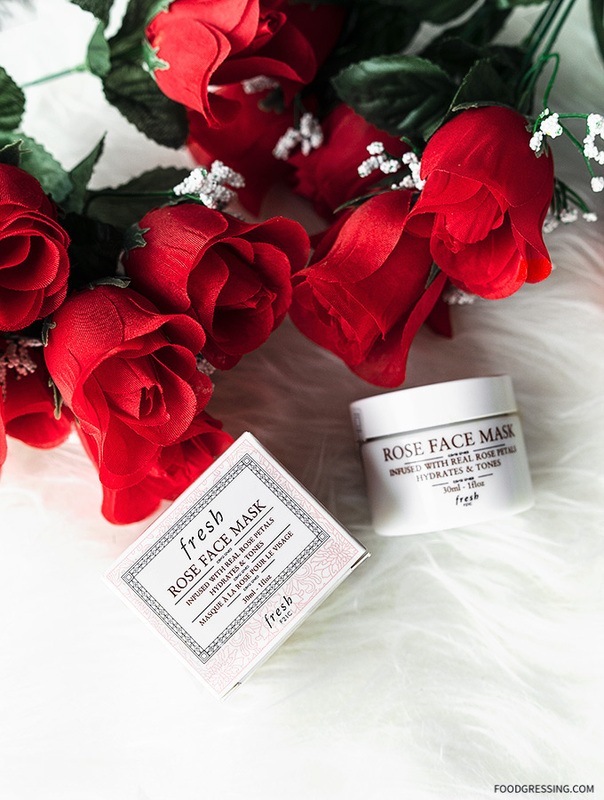 One of the products that I have been using to help keep my skin in shape these last few months is the Fresh Rose Mask. I’ve been a fan of Fresh products especially their Rose collection which focuses on hydration. 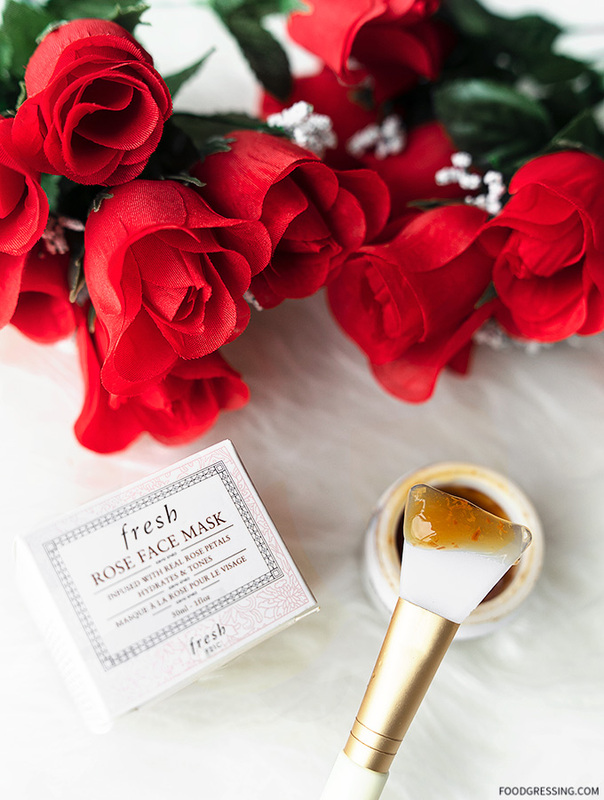 The Fresh Rose Mask is one of their best selling masks. I purchased the 1 oz/30 mL version priced at $30 CDN from Sephora Canada. Here are my thoughts on the Fresh Rose Mask. 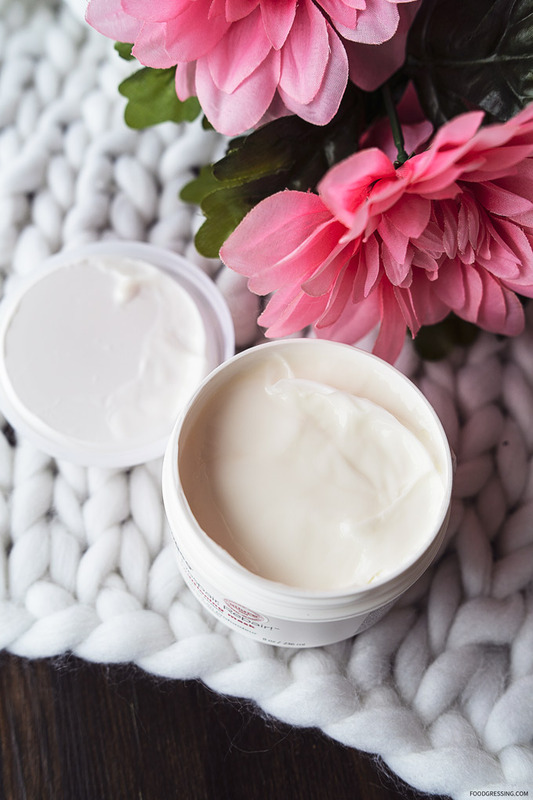 The key ingredients in the mask are pure rosewater (to soothe and tone); cucumber extract and aloe vera gel (to soothe, cool and calm); and porphyridium cruentum (a type of algae meant to deliver optium moisture). The mask’s cucumber extract and aloe vera gel makes it easy to apply. I give my face a gentle cleanse first then apply the mask with a silicon brush. Leave on 5 – 10 minutes and then wash it off. It does not dry out so it is easy to remove as well. PRO TIP: You can chill the container in the fridge before application for an extra cooling sensation. This might be beneficial after being in the sun. Do you like the smell of fresh roses? I do. Honestly, I like to breathe in the container before applying the mask. The sweet, floral scent is soothing and puts a smile on my face. After applying mask, my skin feels cool, calm and hydrated. 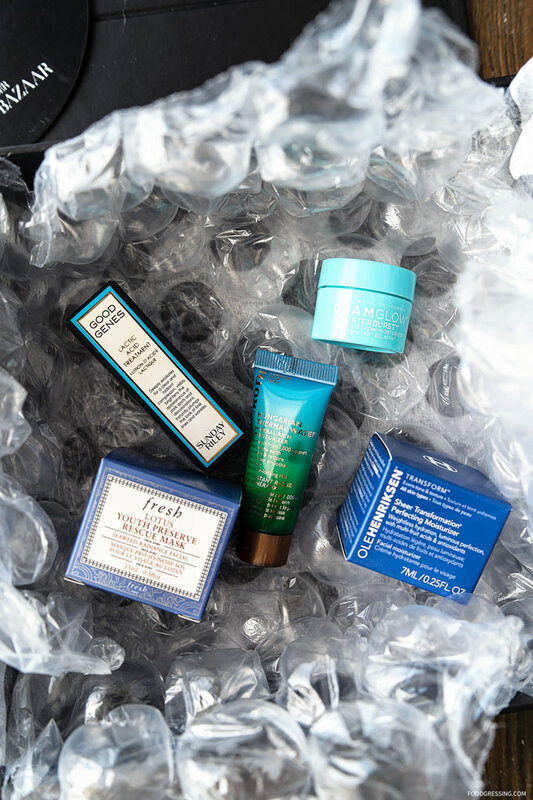 I consider the mask as a good skin pick-me-up for that extra hydration boost. I wouldn’t rely on it solely to keep my skin hydrated but rather something extra on top of other products I use that have hydrating properties. With the Fresh Rose Mask, I have been using as per needed based on how the dry and cold the weather has been. I still haven’t finished using all of the container but I estimate a 1 oz/30 mL would last me through 4 months of winter. However, it is gentle enough to be used daily. 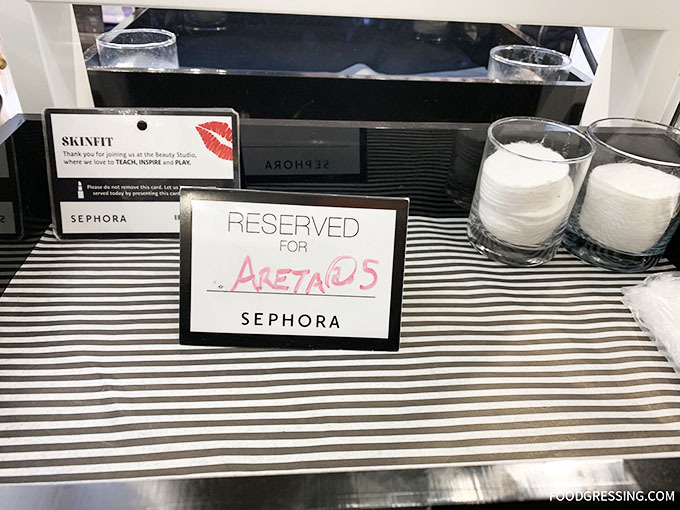 If you’re a regular customer at Sephora, you know that beauty purchases can quickly add up. One way to save money at Sephora is through Ebates.ca where you earn cash back your purchases online. If you’re not familiar with Ebates.ca, here’s the run down. Ebates.ca works with over 750 stores that ship to Canada including Groupon, Amazon.ca, eBay, Sears, Old Navy, Forever21 and WaySpa. All you need to do to earn cash back is to go to the Ebates.ca site, find the Sephora vendor, and click through to the Sephora site using the “Shop Now” button. The cashback amount varies all the time. When Sephora has their Insider sales, the Ebates.ca cash back amount is usually low at 1%. 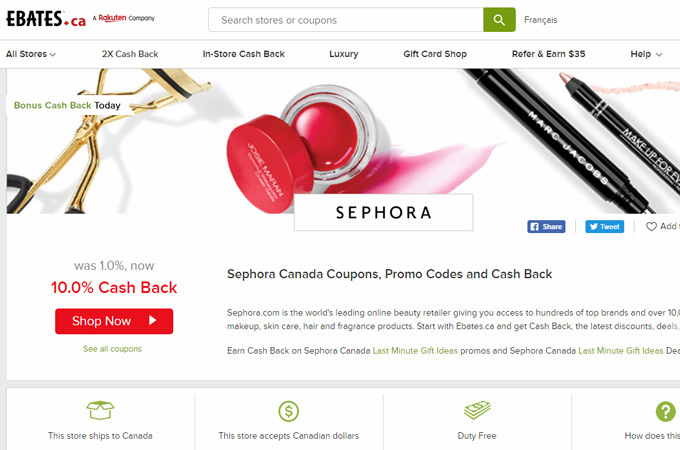 When there is no Sephora sale, the Ebates.ca cash back amount can increase to 10%! I’ve been a member of Ebates.ca for three years now and can vouch for their program. Below is a screenshot of my recent Sephora purchase totals, the cash back amount received, and in the upper right corner is my lifetime cash back total ($750+). The payment takes place every three months according to a predetermined schedule. I opt for an Amazon.ca gift card for my cash back amount but you can receive a physical cheque in the mail as well. 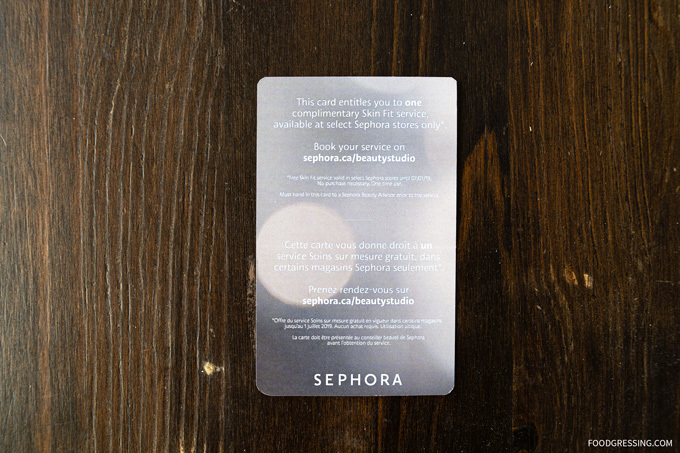 As a note, the cash back does interfere with you collecting Insider points at Sephora. If you’re not an Ebates.ca member, sign up now to start saving at Sephora. 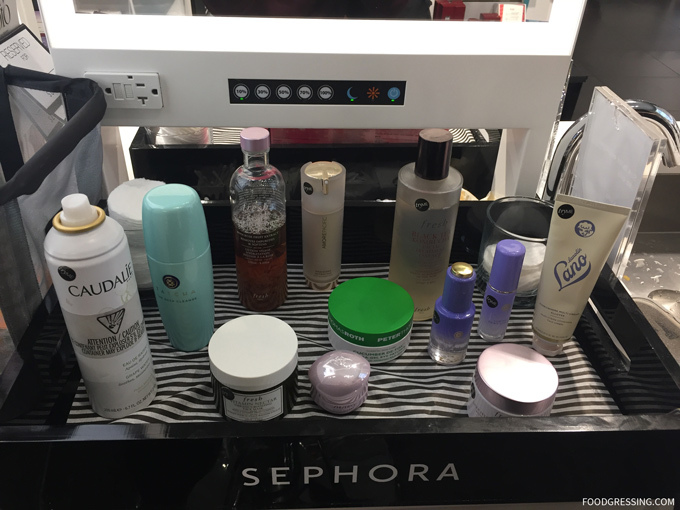 During Sephora’s various member sales this holiday season, I decided to try out their Skin Fit Oxygenating Facial on three occasions. Available at select Sephora locations only, this service includes a customized peel, mask and hydrating oxygen-infused facial. The facial requires reservation ahead of time (via the online booking system) and is complimentary with a minimum $75 purchase. Since I had some purchases in mind (which exceeded the minimum amount even with the member discount), I decided to go for the facial as an added bonus. My first two Skit Fit facials took place at Pacific Centre in Vancouver. When I arrived, I checked in with the girl at the door and she directed me to the Skin Fit station inside the store. You are greeted with a small sign with your name on it saying that the station is reserved for you. The facial starts with a mini-consultation where the facialist asks you about your skin type, skin concerns, and current skin care routine. Pro tip: If you mention what products/brands you want to try, the facialist might just get them for you for the facial. 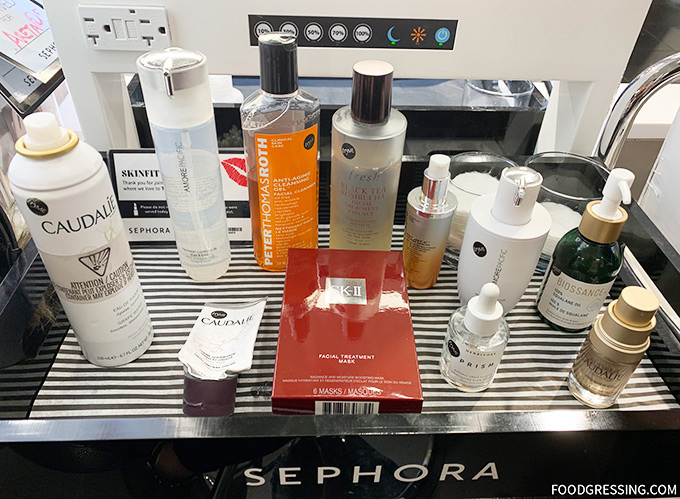 After the consultation, the associate goes around the store and collects the products (ie, sample bottles) that he thinks would be suitable for the facial. I mentioned that I liked Fresh, Tatcha, and Amore Pacific and the facialist incorporated some of them. I was given a headband to push my hairback and then had my chair reclined for the facial. The process involved a double-cleanse, toning, essence, mask, oxygen facial (with and without serum), moisturizer, eye cream and moisturizer. While I had the mask on, I received a bonus hand massage with hand cream. So how does the oxygen facial work? The oxygen facial is carried out using a small airbrush wand. When placed on the face, the airbrush blasts oxygen at high pressure. It’s not painful at all but rather like a mini pressure wash on the face. The idea behind the oxygen facial is to improve the health and appearance of your skin by giving your skin cells a boost of oxygen to carry out metabolic functions. 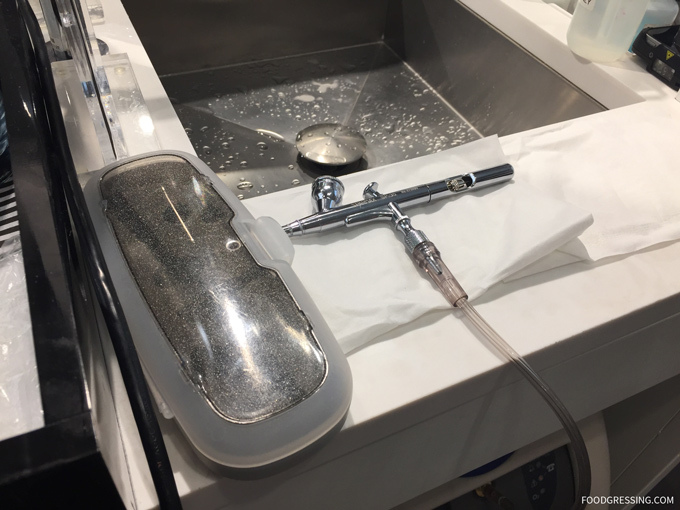 During the Sephora facial, the associate passed the oxygen wand twice on my face. The first with just pure oxygen and the second time with the oyxgen infused with Amore Pacific: Future Response Age Defense Serum. It is believed that oxygen can enhance the absorption of skin care ingredients by penetrating into the deeper layers. After the facial I felt my skin to be nicely smooth, hydrated and glowing. I didn’t have any breakouts and there was no downtime after the facial. The results lasted a couple days. 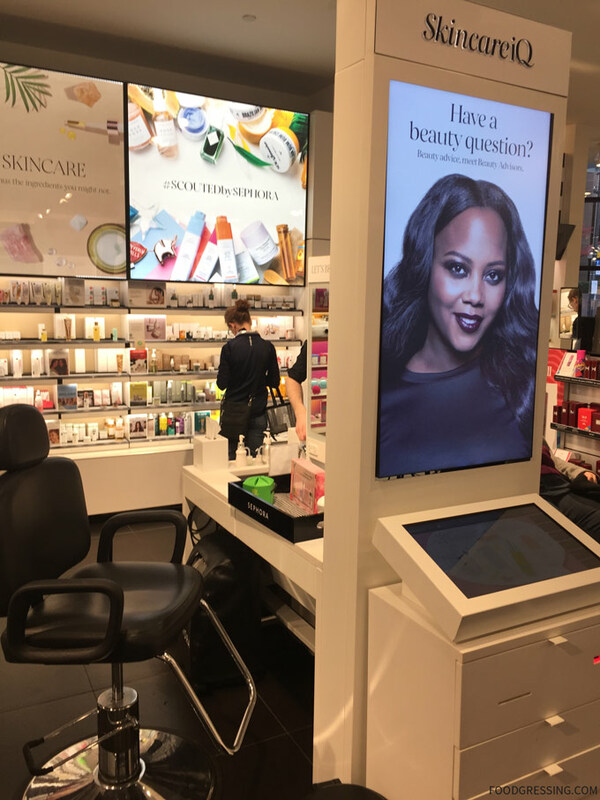 At the Pacific Centre Sephora, the Skin Fit station is in an open area so there is no privacy and you will notice customers around. However, this is dependent on which store you go to. 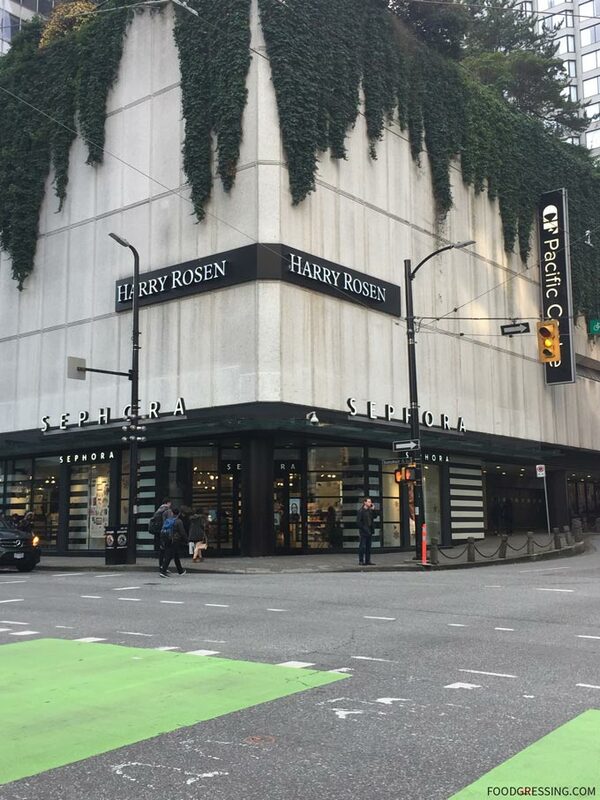 When I did my third Skin Fit, I went to the Sephora store on Robson Street which has a Rouge Bar on the second level. It’s a more private experience there. For me, the experience was dependent on the associate! At Pacific Centre, the associate was super knowledgeable about the products and informed me about what he was using during each step of the facial. As I had mentioned to him that I wanted to try SK-II products, he let me try the SK-II Facial Treatment mask as part of the facial ($22 value!). He also gave me the leftover serum to take home. This associate also went above and beyond by giving a hand massage and hand cream. The pace of the facial was perfect and he and I had lots of discussion on skin care and products. 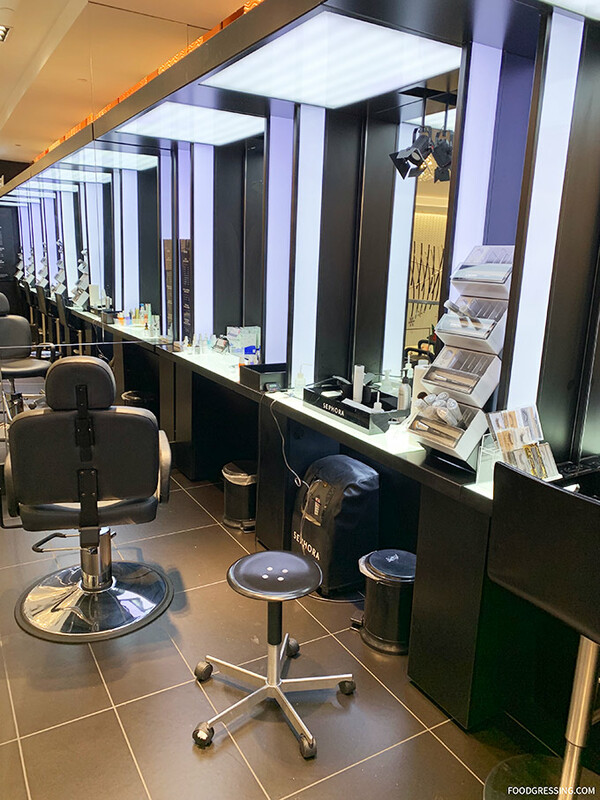 At Sephora Robson, the associate was just OK. She didn’t explain the products she was using during each stage of the facial so I couldn’t associate the feel/texture of the product with the process. She also seemed to be more in a hurry than the associate at Pacific Centre. I also expressed to her that I wanted to try the SK-II Facial Treatment Mask (as I had that at Pacific Centre) but she said that they don’t do that there. Also, there was no hand treatment. 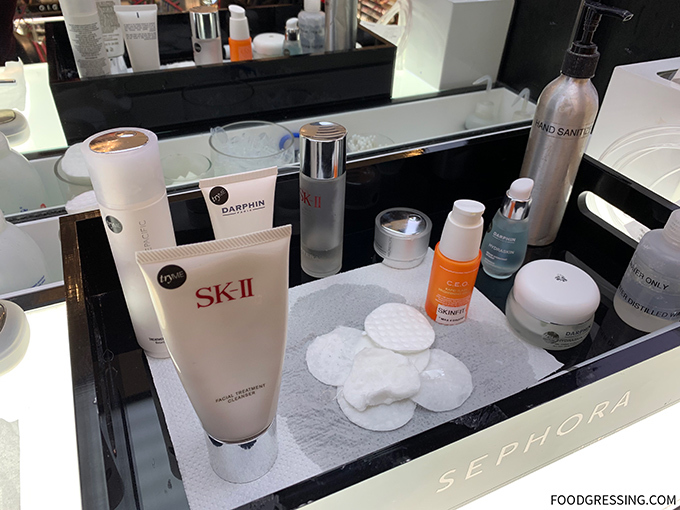 Overall, I’m still very happy with the Skin Fit Oxygenating Facial experience where I learned more about certain products and ways to improve my skincare routine. I’d recommend the experience and will be signing up for more Skin Fit facials when I need to make more purchases at Sephora. 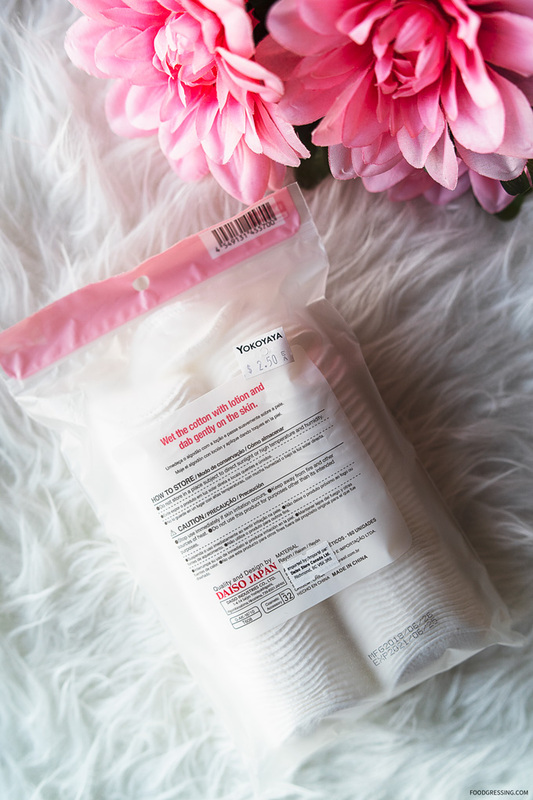 If you regularly buy some of the more basic Dr. Jart+ sheet masks, I have a small, money saving tip for you. 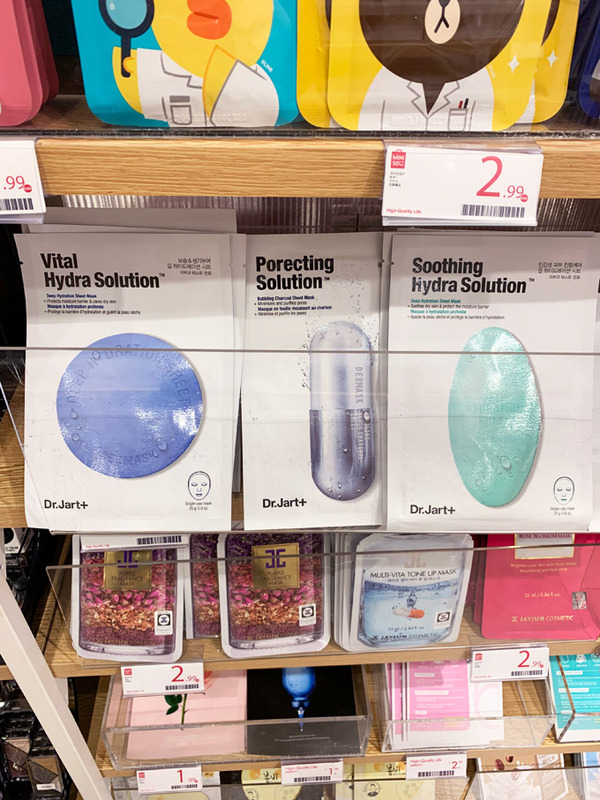 Miniso sells the Vital Hydra Solution, Porecting Solution and Sooth Hydra Solution sheet masks for $5.99. This is cheaper than buying them from Sephora Canada which sells them for $7.50. The photo above is from the Miniso on Granville Street in Vancouver. Inventory probably varies between different Miniso stores. At the Miniso in Park Royal, I spotted only the Vital Hydra Solution sheet mask. I also found these Dr. Jart+ sheet masks in the skincare section at H Mart but they sell them for $9 – $10. You’re better off buying them elsewhere.